The post Strive Masiyiwa Advises Zim Businesses To Price In Rand, His Math Is Wrong BUT He May Still Be Right appeared first on Techzim. Let me put the proverbial cat among the pigeons, a loaf of bread in South Africa costs R9.50. It costs R30 in Zimbabwe. 3x!!! Eighty percent of imported goods in Zimbabwe come from South Africa. It’s not uncommon to find those same goods costing anything above three times the cost. The people who pay for a lot of goods are Zimbabweans living in South Africa, through their remittances. The cost structure – labour and goods – in Zimbabwe is distorted by the arbitrage of the United States dollar as a currency of settlement for rand imports. This is not the same thing as joining a rand monetary area, or customs union, which is a much more complex process. This one can be done overnight, and even voluntarily. The very example that Masiyiwa gave betrays the error and it’s not his fault. The currency issues in Zimbabwe are just as confusing for residents. A loaf of bread in Zimbabwe is NOT costing R30.00. Zimbabwe devalued currency by introducing the RTGS$ and floating it against all other currencies including the USD and the Rand. This official position was already late. Everyone knew already that since the introduction of the bond note, the money in our bank accounts was not at par with the USD which was the currency of record. Even now, we all know the real value of the RTGS dollar is not determined by the interbank market because that market is inaccessible to any of us if we need to buy the USD or Rand. Of course banks will gladly buy USD from us at that rate but none of us will accept that unless you are a tobacco farmer who is being compelled to do so by the RBZ, the state and its guns. Using the above rates, bread in Zimbabwe is costing just above R15. 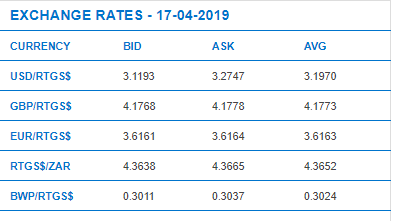 On the same day, 17 April, the parallel market rate between the USD and the RTGS$ was 4.85 and it was 2.87 between the Rand and the RTGS$. This puts the price of bread at just above R10. Quite close to the bread price that Masiyiwa quoted for South Africa. Someone is obviously going to comment that I am knit picking or that I want to sound smart or that I hate Strive Masiyiwa. It’s crazy how we have lowered the standard of debate in this country. Anyway, the above matters because it defines the problem in Zimbabwe differently. We will be in error if we interpret the problem under false assumptions because we will switch things around including currencies of record and still be stuck in the same place. If you do price comparisons between Zimbabwe and South Africa using the reality of the currencies we are using here in Zimbabwe you will not find much of the arbitrage that Strive Masiyiwa mentioned. If we use his math it would mean Masiyiwa’s business Econet is also benefiting from arbitrage and the cost of telephony in Zimbabwe is much more expensive than in South Africa. This is simply not true. The problem in Zimbabwe is that we were robbed of US dollars that we had been earning and saving since 2009 and they were swapped with RTGS$. The RTGS$ itself was devalued, first by real market forces and then later by official decree when the interbank market was introduced. However, our earnings were not adjusted to reflect this devaluation. The price of bread in real terms has not gone up (in some instances it has actually gone down) but our capacity to afford it has been eroded. This reality will persist even if prices are quoted in Rand. We will still be charged for goods in a currency we are not earning whilst the currency we are earning is continuing to lose value. Masiyiwa’s comment on how 80% of our imports are coming from South Africa is accurate. Adopting the Rand thus makes sense but not just businesses quoting prices in Rand as he suggests because that may make things worse. What would make sense is what Tendai Biti proposed: total adoption of the Rand. Zimbabwe definitely needs a stable currency and the US dollar is not too good. South African businesses and others from other countries will continue flooding their wares here hunting for the USD. A strong and high demand currency is a curse when in the position Zimbabwe finds itself in right now. However, the problem above may be achieved by other currency reforms that are not necessarily the adoption of the Rand. This is why diagnosing the problem is important before administering medicine; it broadens up the possible solutions. The government is insincere in saying the price adjustments are not justifiable. They must admit that the problem is that Zimbabweans are daily losing their capacity to afford basic goods and services because of chaotic currency regimes. Admitting that as the real problem is the first step to solving it. Whether the solution is Rand adoption or not doesn’t matter as long as the solution is structurally sound based on the real problem. The post How To Use WhatsApp Business With A Landline Number appeared first on Techzim. WhatsApp Business gives companies and customers a secure way to communicate with each other. The app also brings with it an interesting new function: it allows you to set up your WhatsApp (Business) account using a landline number instead of your mobile number. Although WhatsApp Business is designed for use by businesses, anybody can download the app. You will still need a mobile phone to run the app but you will be able to register your landline number instead of the number associated with your mobile SIM card. The first step is to download and install the WhatsApp Business app. Now, it will ask you to enter your number, so you just enter your landline number. Now the main step. Whatsapp always ask you to enter a One-Time-Passowrd to verify your identity, here you need to choose calling option to verify instead of the SMS method. When you choose the Call Me option, WhatsApp will call you to verify your identity and will share you the One-Time-Password. You just need to enter the One-Time-Password to register, and you are done- now you can use WhatsApp Business using your Landline number. The post Here’s Where To Watch Game Of Thrones Season Finale appeared first on Techzim. Showmax is a video-on-demand streaming platform which gives you access to movies and series. Essentially, you can watch whatever you want, whenever you want. The service which is owned by Naspers who also happen to own DStv can be accessed via the internet on devices such as smartphones, tablets, laptops etc. It is on Showmax that you can watch Game of Thrones Season 8 fresh out of the oven, as it happens. You only need to pay a subscription fee of R 99 not only to watch Game of Thrones but to watch more than 10 000 hours of content as well on Showmax. Tune into M-net at 3 am on Sunday to watch Game of Thrones season 8. M-net is available on the premium package of DStv on Channel 101. If you are in Zimbabwe and you want to subtribe for the premium package, you can do it here on Techzim by following this link. 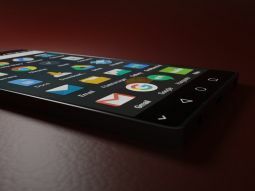 The post 7 Good Apps To Hide Your Photos And Other Files on Android appeared first on Techzim. KeepSafe app allows you to hide all your files which can only be accessed by someone who knows your PIN, pattern, and fingerprint authentication options. KeepSafe brings advanced security features such as fake login PINs, break-in alerts (where a selfie of the intruder, along with time and date of unsuccessful attempts is logged) etc. Vaulty is yet another photo and file-hiding app which may look a bit dated but performs its job perfectly fine. You can simply jump into the app, select the media files you want to hide from the gallery and ‘password protect’ it from anyone. Vaulty also can capture “mugshots” of intruders, who try to access the app but fail to enter the correct password – you will instantly know who tried to get into the app, soon after you unlock the app. With Hide Something, you can protect your files from inquisitive people by asking them to provide the correct PIN, password, or the fingerprint. You can get access to a mini collection of beautiful themes, and fake login mode to further trick nosy people. But, the feature that takes the cake for me is that the app backs-up all your private media files to Google Drive meaning that you can access the files anywhere. All aforementioned apps are restricted to hiding just your media files but Vault is an all-around app which helps safeguard more than just media files. It can hide all your phone data, be it SMS, contacts/ call log or even apps, which houses all your private info. Vault also gives free cloud backup support. If you are looking for an app that does a lot (I mean, a whole lot) more than simply being able to hide your photos, then Private Zone should be the perfect pick for you. Though Private Zone is laden with several cool features, it’s at the expense of your peace of mind. The app is filled with ads, which can get frustrating for users. But, it can be avoided by picking up the premium subscription for the app. GalleryVault enables you to quickly hide and encrypt your photos, videos and any other files that you do not want others to see. The app also has features such as break-in alerts, fake login, fingerprint authentication etc. In addition to protecting your photos and videos, Gallery Vault also supports private browsing within the app, and a video editor to enable you to piece together a story using your hidden photos. Andrognito allows you to hide your photos, videos and other files behind encryption, while storing the files in the cloud to free space on your device. The free version of this app enables you to hide apps in just a single folder, but you can purchase the premium version to create more private folders, access your folders via the cloud backup on multiple devices and gain access to additional features. the premium versions will also remove intrusive ads that annoy me almost instantly. If you have been concerned about the privacy of your photos or files, then I’m sure that at least one of these apps will help to curb your anxiety. The post NMB Introduces NFC-Based TapCard With No Transaction Charges! appeared first on Techzim. NMB recently announced TapCard, an NFC enabled card that’s supposed to make transacting noticeably faster than it has been to date. The TapCard “only needs to be tapped against a point of sale machine to pay for any purchase” according to NMB. More interesting however is the fact that you don’t have to be an NMB customer to get the card. That makes it more attractive and it opens up the number of people who can get their hands on one of these significantly. It also increases the incentives for merchants to adopt this as it won’t only serve NMB customers. Of course for merchants to adopt this in any form they’ll have to wait until the cards have been adopted but for customers getting the cards without merchants having installed the NFC infrastructure will be a hard sell. Users will be able to top up the card using EcoCash, ZIPIT, KaGwenya or any Zimswitch enabled POS. People are queuing for cash at banks to make small payments such as bus fares for themselves and their children as well as pocket money or any household use. Cashless payment options such as swiping or using mobile money are not always convenient for these sort of small payments. Anyone can get a TapCard with or without an NMB bank account. Unlike the standard swipe card, the TapCard utilises near field communication (NFC), which does not require any network for transactions to be processed, making it possible for use anywhere, especially in remote places that include those that many buses go to. NMB are also eager to get these cards into kombis but the drivers and conductors have always resisted electronic payments in their buses and it will be interesting to see if NMB are going to adopt a strategy that finally sees them get cashless payments into the kombi. Any merchants signed up already? It will be interesting to see just how well NFC will be received this time around considering that EcoCash tried it before and they hit a brick wall. The post BBM Shutting Down On May 31… appeared first on Techzim. The fall of BBM is a pretty great example of how quickly things can change in the world of tech. 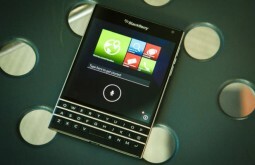 Blackberry Messenger was the service that everyone wanted to have but it was only available to a select few. Eventually, BBM was opened to the masses but if you used it then you’ll probably know that there wasn’t much they offered that wasn’t offered on WhatsApp. We are proud of what we have built to date … The technology industry however, is very fluid, and in spite of our substantial efforts, users have moved on to other platforms, while new users proved difficult to sign on. Though we are sad to say goodbye, the time has come to sunset the BBM consumer service, and for us to move on. The post The Youth Business Expo Is Another Event To Check Out At ZITF appeared first on Techzim. If you’re enthusiastic about tech and business, it seems there’s going to be a lot for you to see at the Zimbabwe International Trade Fair. We’ve already talked about the Innovators Forum, but there will also be a Youth Business Expo during the one-week event. To enhance young people skills in economic/business activities identification and participation. Create a platform for partnerships and opportunities to identify viable income generation activities. The post Magaya’s Social Media App Could Have Easily Been Zim’s Most Successful App……If Only It Was Still Around appeared first on Techzim. Right now If you take a stroll down Google Playstore looking for Prophet Magaya’s Let’s Chat app you won’t find it. The app was launched in January last year to much public attention as part of Prophetic Healing and Deliverance Ministries’ (PHD) Yadah Connect business platform. Since a post dated 1 January 2018, there’s no longer any talk of the app by PHD Ministries. The motive for Prophet Magaya to introduce Let’s Chat was primarily to be able to get in touch with his over 500 000 followers. Despite having that army of followers, Let’s Chat only had 5000 downloads (at most) 5 days after it was launched which I think was a lacklustre uptake judging by the number of his followers- I expected that in 3 days it would have had at least 10 000 downloads. Although I don’t know if the app is still existent (I highly doubt it though), indulge me to work with the assumption that the app is no longer running. Let’s Chat was one Zimbabwean app that would have been quite successful. How so? To begin with, Prophet Magaya has a lot of followers which is a bonus for whoever who wants to start a platform or any other cause. Actually, Let’s Chat would have had a head start that platforms like Facebook, WhatsApp and the likes never had when the started. Let’s Chat would have started with people who had a high chance of getting onboard but for Facebook and others, they started having a platform before having the followers. Ideally, Let’s Chat was well-placed to be an overnight success, in terms of adoption. I’m pretty sure you know that there are folks who pay for an abode to talk to Prophet Magaya in person. Obviously, it’s physically taxing for the Prophet to meet 20 people per day. Not to mention the expenses people incur to see the Prophet. Wouldn’t the Let’s Chat platform have been a convenient place for Prophet Magaya and his followers to interact? Of course, the platform would have opened too wide a door for everyone to talk to the Prophet. So to avoid a scenario where a multitude of people bombarded Prophet Magaya with messages on Let’s Chat, those who really wanted to talk to him on the platform would have had to pay- something like an in-app purchase to access another service (of talking with the Prophet). That way, the platform would realise both order and monetisation in one stroke. However, the monetisation model is not sustainable as its physically impossible to attend to a certain number of people even on Let’s Chat itself. The monetisation of the platform wouldn’t have ended there, however. It’s no secret that Prophet Magaya is influential. So he would have leveraged his influence to court companies to come and advertise on Let’s Chat. And advertising would surely have been the real goose that laid the golden eggs. As I said before, that model of making people pay to talk to Prophet Magaya is only sustainable up to a certain point. Advertising will be the only long term instrument for Let’s Chat to rake up money. Now the thing is to earn more (and more money) through advertising, there as to be gradual growth of people using a platform. Its a no brainer that advertisers are happy to pay more or to come back to advertise on a platform that gets new people every day. Accordingly adding new users on the Let’s Chat platform was going to be a need (not a want) at some point in time. But that would have been very difficult primarily for two reasons. First off, Let’s Chat was an app that was introduced through the institution of religion and the organisation of the church. Religion in itself is divisive so I don’t think other people from other religions would have come on board. And PHD, being the church, has some people that don’t agree with its evangelical conduct, so to speak, so even people who share its religion would not have come. I guess tech and religion dont mix well that’s why many successful investors don’t brandish their religion or what they stand for. Secondly, there is an issue of accessing Let’s platform. For any app to stand a good chance of being adopted by many people in Zimbabwe, it has to be very affordable to access it. The kind of affordability I’m talking about is the one that’s associated with accessing WhatsApp and Facebook- there have to be bundles of some sorts or at most zero-rating. So, if using Let’s Chat was not as cheap as WhatsApp, then people wouldn’t have come on board- there would have been a need of a Let’s Chat bundle to convince people to try out the platform. In terms of adoption, I definitely think that Let’s Chat would have been the most used Zimbabwean app even if it was used by people from PHD only. In terms of monetary success, I’m fairly certain that it would have been the most successful Zim app. The post Did You Know Utopia Exists? Well, Sort Of And It’s Powered By Blockchain appeared first on Techzim. Liberland has a passionate leader, a committed populace, a working draft of a constitution, and huge plans for what’s to come. Vit Jedlička , the President of Liberland, a small self-proclaimed microstate on a patch of land between Croatia and Serbia, is looking to use a new cryptocurrency called ‘Merit’ to underpin his vision for the new country. According to the official website of Liberland, the 2.7 square miles of land is now the third smallest sovereign state in the world. Vit Jedlička’s idea for a new crypto-based new micro-nation has taken steady steps forward over the last few years. Jedlička said how he looked through a Wikipedia rundown of “no man’s lands” to discover the spot. So far, Liberland has not been recognised by any nation. He says 205,000 individuals who have enlisted on the official site are eligible to become citizens. According to him, Liberland is a ‘role model of a new type of state’ and the country is about pushing the borders of liberty to the maximum to maximize the happiness of its citizens. He intends to have no binding taxes, a decentralized government, and a range of freedoms, like the right to have arms. Ultimately, he wants to change the country into a Decentralized Autonomous Organization (DAO). A DAO is a structure where decisions are made electronically by written computer code or through the vote of its members. The DAO will control the dispersal of the new ‘Merit’ cryptocurrency to its citizens. The approach is to weigh the power to vote based on the number of Merits a person holds. Jedlička reveals that the system lets people “get the shares of the country they are living in,” if they want to return some (voluntary) taxes. He presumes people “that actually make the country possible and have contributed to its creation” should be the ones with the right to make decisions. There are also plans for Merit, which runs on Ethereum, to be used as the collateral inside of the proposed nation’s justice system. The contributions from Merit, all viewable on a webpage, are used to fund what Jedlička refers to as “the most cost-efficient government ever.” Last year, in its annual financial report, Liberland earned $334,000 in operating income and $212,250 from cryptocurrency gains. Voluntary tax donations made up $96,889, or 29% of operating income, with 53% of its funds coming from “strategic and larger investments.” It spent $292,000, leaving a surplus of $254,350. Merit is not the state-mandated official currency. In fact, its representatives see Liberland as serving as something of a cradle for the cryptocurrency. Recently, Vit Jedlička showed his interest to be a part of World Blockchain Summit in Taipei, to explore Blockchain and crypto opportunities in Liberland. As South Korea establishes directions on real-name accounts and the United States thinks over which tokens to control as securities, Liberland wants to support digital currencies with a pro-crypto regulation with the goal of creating employment, not just for Liberland’s citizens but also in the neighbouring Baltic States. The post If You’re Going To ZITF, The Innovators Forum Is A Must Attend appeared first on Techzim. It’s that time of the year again, and next week from 23-27 the Zimbabwe International Trade Fair will be taking place. One of the events to look forward to for techies will definitely be the Innovators Forum. According to ZITF the innovators forum is an event dedicated to bringing young entrepreneurs together to highlight local innovations, network and exchange knowledge in a bid to revive industry and give them an opportunity to turn the economy around. The forum which will be hosted for the second year running will take place on the 24th and 25th. The theme of the event is Innovation: The engine to Industrial and Economic Growth. On the 2nd day of the forum, participants will take part in a hackathon to be determined by one of the sponsor companies. Promote and highlight innovations from various sectors by local youth entrepreneurs to facilitate industrial and economic growth. Equip and empower youth to cultivate an entrepreneurial spirit for job creation. Create space were young innovators can meet up and share ideas with their peers while developing their entrepreneurial skills. The Innovators Forum is for “young innovators” between 20-35. Participants should be practising entrepreneurs who are in college/university or recently graduated. The post Press Release: Insurance Council Of Zimbabwe Deploys Ambulances On Highways During Independence And Easter Holidays – Safe Travels appeared first on Techzim. Insurance Council of Zimbabwe, (which is an association of all short-term insurance and reinsurance companies operating in Zimbabwe), is concerned with the loss of lives of Road Traffic Accident victims due to lack of timeous evacuation from the scene of the accident and taken to a medical institution for emergency treatment. In order to augment emergency response systems offered by the Government of Zimbabwe, ICZ will, during the Independence and Easter Holidays, deploy standby ambulances along the major highways of our country to provide post-crash emergency medical attention and evacuation to the nearest medical institution for treatment. This initiative is a partial fulfilment of Pillar 5 of the United Nations Global Plan for the Decade of Action for Road Safety which deals with Post Crash Response. In the long term, this project should lead to the availability of emergency response services on all roads in Zimbabwe. The initial roll out will begin with deploying ambulance services on the major highways. The standby ambulances will be stationed in or close to areas that have been known to be accident prone. ICZ identified the zones in consultations with Zimbabwe Republic Police, the Civil Protection Unit and Axstarz. The aim is to have the standby ambulances and medical personnel being the first to respond and attend to victims in the event of an accident and if overwhelmed, they have the means to call for support from an existing network of other ambulances which form part of this arrangement. To ensure an effective and efficient delivery of the required medical service, communication and coordination of the operation will be done through a command centre that would be manned by Axstraz. ICZ has further engaged the Ministry of Health and Child Care to ensure that government medical institutions along the highway are advised of this arrangement as well as capacited to enhance the care of the RTA victims in the event of the accident. Please ensure that you have valid public passenger insurance. This will go a long way in assisting accident victims pay for medical attention in the case of having sustained injuries and in the very unfortunate circumstances where lives are lost, burial expenses will be paid through insurance. ICZ is therefore appealing to the nation’s law enforcement agents to ensure maximum compliance. It should be noted that compensation cannot be made if there is no insurance. We therefore encourage operators to abide by the law. We appeal to the media to assist us spread this important message on the immense benefits of being compliant. We are all aware of the effects of the road accidents that result in economic and social challenges and in many instances the unfortunate loss of lives. Through an effective and long term sustainable emergency response system, ICZ’s aim is to save as many lives as possible and lessen the extent of medical complications as a result of injuries not attended to on time. The Insurance Council of Zimbabwe wishes the nation a happy and safe holiday. The post How To Schedule WhatsApp Messages For Them To Be Sent Later appeared first on Techzim. We have all been in situations where we are super tired and want to sleep but can’t, because we have to send a happy birthday message early in the morning to that special person before anyone else does. What do you do in situations like these? You obviously take painswaking up during the middle of the night just to send the message. But don’t worry, today you will learn how to schedule WhatsApp messages on Android devices so that you won’t have to wake up at 2 a.m to be the first to wish your boyfriend or girlfriend a happy birthday. Here we will be taking a look at how you can schedule text messages on WhatsApp with an app called SKEDit Scheduling App. So, without further ado, let’s get started. Step 1: First of all, download and install the SKEDit App on your Android phone or tablet. Step 2: After the installation, open the app and Sign up using Email ID or Sign in with Facebook. Step 3: Before proceeding, you need to Add Services you wish to automate. In this case, it will be WhatsApp. So select WhatsApp and then tap on Done option. Step 4: On the Home screen, tap on WhatsApp and then Enable Accessibility settings. Step 5: Now you need to select the person you want to send the scheduled message. Simply, tap the plus icon (+) on the top and add a WhatsApp recipient. Step 6: Write the message you want to be sent later automatically and schedule it to be sent at a later date through the app itself. You can also attach media files if you wish. If you wish to repeat the messages, you can set it using the Repeat option. Step 7: Once you have selected everything you needed then simply, tap on the icon with a tick (top right of the app) and your WhatsApp message will be scheduled. Wait!!! Before your message is sent, the app will ask you to disable the screen lock of your phone if it on. Now you don’t have to worry about anything. Once you schedule messages, forget about it and move on to the next task. It is as simple as that. 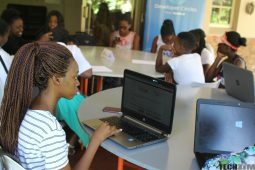 The post Press Release: Final Year College Female College Students Of Engineering Here’s An Opportunity appeared first on Techzim. The WomEng Zimbabwe Fellowship, powered by WomEng in partnership with The Royal Academy of Engineering and the Zimbabwe Institution of Engineering is a two (2) day leadership and development workshop for female engineering students currently studying full-time in Zimbabwe. Fellowship is WomEng’s flagship entrepreneurship and intrapreneurship and employability programme for the best and brightest female engineering and built environment students to find solutions to global challenges and develop and prepare for industry. Applicants must be in their penultimate to final year (e.g 4th year at university) of undergraduate or full-time postgraduate studies. The post Netflix Picks Up Zambian Animated Film appeared first on Techzim. Netflix is taking a serious look at licensing content from the motherland. Earlier this year, a Zimbabwean creator secured a deal for his animated musical on the platform. 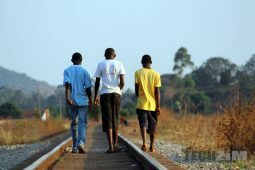 The media company has announced yet another African film will be added to their roster. Mama K’s Team 4 is an animated show created by Zambian writer Malenga Mulendema and it follows the story of four teenage superheroines who are recruited by a retired secret agent. The story is also set in Lusaka. What happens to local VoD services? It will be interesting to see the impact of Netflix’s move to start licensing African shows. That might put a dent on the hopes held by local players such as Kwese iflix and TelOne DEOD, since local content looks like their biggest attraction. If Netflix and more established players start taking that content as well, it’s hard to see where they fit. The post Insurance Council Of Zimbabwe Launches Rapid Response Ambulance Service During Upcoming Holidays appeared first on Techzim. Here’s a noble initiative by the Insurance Council of Zimbabwe (ICZ) to keep you safe during this Independence and Easter holiday. In the spirit of wanting to preserve road user’s lives, ICZ has decided to launch rapid response Ambulance services in major highways. The Ambulances will be stationed close to areas (in major highways) that are statistically known to occur ambulances. The aim is to have the standby ambulances and medical personnel being the first to respond and attend to victims in the event of an accident and if overwhelmed, they have the means to call for support from an existing network of other ambulances which form part of this arrangement. The intention is to ensure appropriate medical help to accident victims before the lapse of the first hour of the accident, commonly referred to as the Golden Hour. ICZ has engaged 7 (Ambulance) service providers to be stationed in equally 7 highways. So “to ensure an effective and efficient delivery of the required medical service, communication and coordination of the operation will be done through a command centre that would be manned by Axstraz”. It’s sad that this noble initiative has a short lifespan as it is only for this coming holiday. I hope it yields the results ICZ is looking for. There is a reason for ICZ’s initiative to realise positive results because it didn’t just blindly deploy ambulance. Rather, the initiative is data-driven. ICZ worked with the police, Civil Protection Unit and Axstarz to access and collect which it used to identify high-accident zones. Of course, only when the holiday is over will ICZ be able to tell whether the data they used was useful or reliable or not. Garbage in, garbage out is a saying that’s known to people who rely on data to make decisions. If the data ICZ used was wrongly captured and analysed, chances are that the initiative will likely fail to save as many lives as it would (ideally) have saved. A centralized system like what the ICZ has installed will probably lead to the efficient operation of our few ambulances (just 130 ) in the country. You find out that when some accident happens, there are scenarios where too many ambulances arrive at the scene because many different people would have individually requested an ambulance. But having a centralised system ensures coordination so as to avoid too many (or few ambulances) at a scene. The post EcoCash Increases Tariffs appeared first on Techzim. 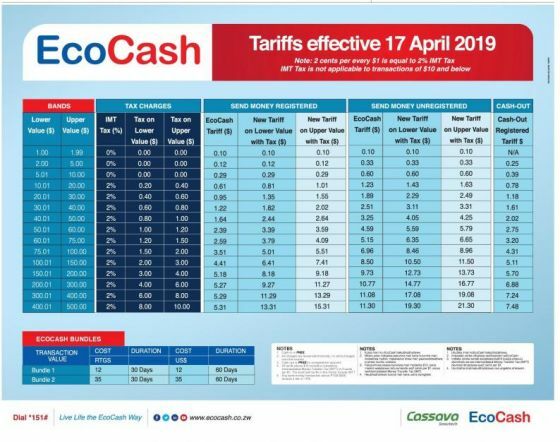 Back in November, EcoCash announced a new set of tariffs for transacting on their platform and you would be forgiven for thinking that since then those tariffs haven’t changed. The reality is that EcoCash has a new set of tariffs that came into being today and the new tariffs are said to be 30-80% higher than before by Telecompaper. Seems like Econet have increased massively their ecocash charges today. I have just sent RTGS$ 10 to a relative and they deducted 29 cents, yesterday it was 16 cents. Have you heard anything concerning this please? Afterwards a colleague and I sent each other some money back and forth just to see whether or not there was any shift. Sending $5.00 should see 7c being deducted but 12c was deducted instead. Similarly, sending anything between $10.01 and $20.00 used to see EcoCash taking a maximum of 72c but my colleague sent me $11 and got charged 83c. The post NetOne Might Soon Revise OneFusion Again appeared first on Techzim. Though OneFusion is the darling of many mobile subscribers, NetOne’s popular data promotion hasn’t entirely managed to dodge controversy. The last few tweaks to OneFusion were not entirely popular as subscribers felt the value of the service being offered was being lowered. It seems like NetOne is tweaking their data promotion again but it’s not yet clear whether or not subscribers will be getting more data or less data. Heck, it’s not clear what is actually being changed but it seems like there will be three OneFusion packages. 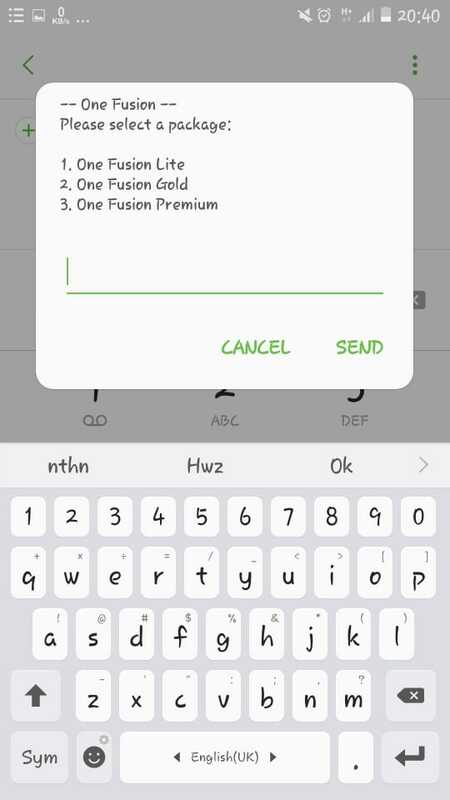 We stumbled upon a screenshot that had the three packages which will be listed as follows; OneFusion Lite, OneFusion Gold and OneFusion Premium. This is similar to the leak that Econet was working on new bundles a few months ago. That hasn’t materialised into anything official, even though Econet was indeed working on a new product. We’ll have to wait and see if this leak actually materialises. We reached out to a NetOne representative to understand when the public can expect to get this feature but at the time of going to press, they were yet to respond. The post WhatsApp Authentication Feature Might Disable Conversation Screenshots appeared first on Techzim. 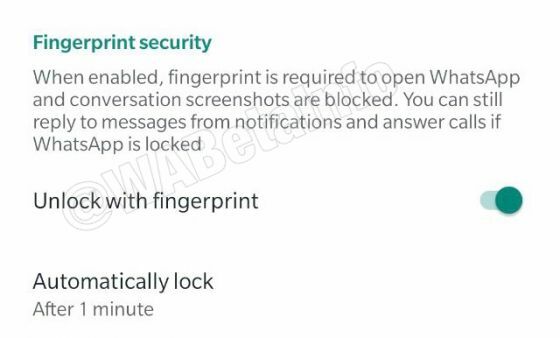 The authentication feature that allows you to unlock your WhatsApp using a fingerprint sensor has been in development for some time now. Weirdly enough that feature will come with some strange restrictions. It seems like once you’ve enabled the “unlock with fingerprint” feature you will not be able to take screenshots of your own conversation for some reason. It’s not entirely clear why screenshots are disabled when you’ve turned on authentication and strangely enough that’s not the case on iOS. Maybe it would have made sense if you could stop people from taking screenshots of your conversation. The post Startupbootcamp Hosting Harare FastTrack Event In May appeared first on Techzim. Last year, Startupbootcamp hosted their first FastTrack event in Harare. FastTracks are informal events that Startupbootcamp host all over the world to meet the most suitable early-stage companies interested in joining their program. For each FastTrack, we invite the top 10 startups who apply to receive instant feedback from a panel of industry mentors, network with our investment team. On the 9th of May, the Startupbootcamp’s AfriTech program in partnership with Steward Bank will host an event in Harare. The 10 most promising startups selected from the applications will be invited to present their innovative ideas to the Startupbootcamp team and fellow entrepreneurs. You will have the opportunity to receive mentor feedback and learn more about the Cape Town-based Startupbootcamp accelerator program. Registration will close four days before the event so it might be a good idea to get your registrations out of the way. The post VID Finally Launches Computerised Provisional Licence Test appeared first on Techzim. Much has been said about the provisional test being taken digitally. As far back as 2016, there was an announcement informing the public that the provisional test would be taken using computers. Three years later and many delays later that vision is finally being realised. Yesterday the Vehicle Inspectorate Department launched the Electronic Learner’s Licence Testing System. One of the more convenient improvements that will come about as a result of this new testing system is that candidates taking the test will no longer need to bring passport-sized photos as those will be captured by the system at whichever test venue you will be tested from. The tests that will be randomly generated will have over a 1000 questions in rotation. This means candidates will no longer be able to get information of which particular test they will be taking, prior to actually taking it. That’s why every time there’s been an announcement regarding this system its been hailed as the beginning of the end of corruption at VID. 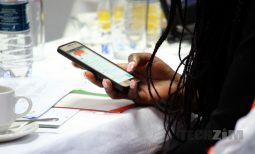 As soon as the students have taken fifteen-minute test, it will be automatically marked by the computers which is another measure meant to weed out corruption and human error in the licensing process. According to the Herald, the testing system is expected to be rolled out to all VID depots soon. 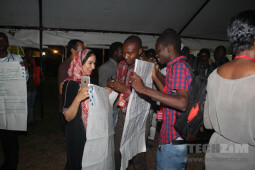 The post Liquid Telecom To Partner MIT In Inclusive Innovation Challenge To Solve Digital Economy Disparities Across Africa appeared first on Techzim. 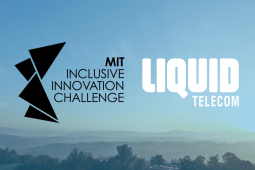 Liquid Telecom has announced that they are partnering the Massachusetts Institute of Technology’s (MIT) official partner for the 2019 Inclusive Innovation Challenge (IIC) in Africa. Since 2016, MIT’s Inclusive Innovation Challenge (IIC) has challenged entrepreneurs around the world to re-invent the way technology innovation is harnessed. This year the challenge will take place on five continents: Africa, Asia, Europe, Latin America, and the US and Canada. In the last three years, 3,000 organisations have registered for the IIC from more than 100 nations. It has worked with more than 100 Global Outreach Partners, 500 judges, and drawn 3,300 event attendees. Where does Liquid Telecom come in? The African telecoms giant will serve as the IIC’s outreach partner for Africa, where it will play an important role in recruiting African entrepreneurs and innovators to participate in the challenge. income growth and job creation. Through its Innovation Partnership initiative, Liquid Telecom will be encouraging African based start-ups, innovators and technology companies to take part in the various challenges. The IIC will award a total of $1.6 million this year —including $250,000 to each of the four winning organisations. Liquid Telecom is looking forward to working with MIT on delivering the IIC in Africa as it is aligned with our mission to support innovation, using digital technology, across the continent. As an African company, greater inclusion in both the creation and application of technology is fundamental to Liquid Telecom’s DNA. We are happy to help IIC reach more entrepreneurs and innovators across the continent. Liquid Telecom’s Group Chief Technology and Innovation Officer – Ben Roberts. Registration is open now and the deadline for submissions in 9 May. Regional finalists will be announced 23 July and winners will be recognised at regional celebrations. The challenge will culminate with a Global Grand Prize Gala at MIT on 21 November 2019. The post Zimbabwe’s eCommerce Indicators: 9.5% Of Zimbabweans Make Online Purchases appeared first on Techzim. Whilst going through We are Social’s 2019 state of Zimbabwean Digital report. One of the more intriguing sections of Zimbabwe they looked at was the eCommerce indicators assessing how prepared our country is for eCommerce. The data being used is from the World Bank Global Financial Inclusion Data set from this January, so it’s pretty recent. Whilst most of the data is pretty accurate as well my gripe with the data presented is that it doesn’t necessarily take into account some Zimbabwean realities. That’s not to say the data is incorrect or that it doesn’t have any value. It does and to expect We Are Social to rank every country unique to its context would also be unfair. One of the contentious points is the number of people using credit cards. 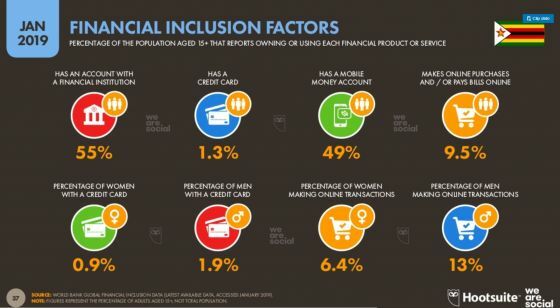 A mere 1.3% of the Zim population use credit cards. That may be true but it’s not necessarily a bad thing as most people actually use debit cards in our financial system. In fact the NPS 4th quarter report states that there over 4.7 million debit cards in the country right now. That’s not an insignificant number by any means. Are people actually buying online? 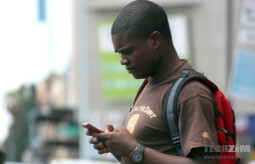 More interesting is the fact that 9.5% of the Zimbabwean population is making purchases or paying their bills online. That’s a small number of the population but it is quite significant. …And who’s buying more online, men or women? According to the data presented by We Are Social, more men are buying online than women. The gap is actually larger than one would assume with 13% of men making online purchases and only 6.4% of women making purchases. This isn’t the first time such a claim has been made, and according to Hammer & Tongue’s statistics, more men are shopping online. I’m not sure if the stats presented by We Are Social take into account the difference in channels when buying online as some people are buying online through platforms such as WhatsApp and Facebook which are not necessarily the same as the more popular eCommerce giants like Amazon. Once you take into account the fact that the internet penetration rate is constantly growing each year, it’s fair to assume that from here eCommerce can only grow and there’s also a huge opportunity for players in this field. The post Global Report: There Are 1.2 Million Zimbabweans On Social Media appeared first on Techzim. 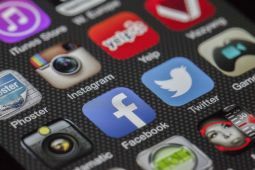 If data from We Are Social and Hootsuite is to be taken at face value, the number of active social media subscribers grew by 20% from 0.88 million users in 2018 to 1.2 million this year. That’s an interesting number, but it seems pretty low and only makes up 7% of Zimbos. Of this 1.2 million, the average age of social media users is 19.6 years. The reason why that number is that low is because We Are Social looks at the total addressable advertising audience – found from the self-serve advertising tools offered by each social network. They acknowledge that this addressable advertising audience may not reflect the exact number of people on social networks in the country. How are the users spread? An interesting statistic that popped up was that men are generally using social media more than women. That’s a pretty interesting statistic that I couldn’t wrap my head around. Why is it that more males are using social networks than women. That’s a pretty difficult question to answer because that’s going against the trend except in the cases of Twitter and LinkedIn which are generally used more by men than women. The post Complete Guide On Using WhatsApp On Your Desktop/Laptop: WhatsApp Web appeared first on Techzim. WhatsApp is probably the most popular messaging app there is for mobile phones. Since it’s meant for mobiles, we often need to stop work, pick up our phones to respond to messages. Thankfully, you can also use it on our laptop/desktop so you can chat as you get with your work. Whatsapp Web is the version of the WhatsApp app on your phone that can be used in a web browser. Whatsapp Web provides its users with the capability to read, send messages, send and listen to voice notes, send and receive files etc. directly from their web browsers or WhatsApp desktop. You get to receive sound notifications too on WhatsApp Web. All the messages (and other things) you send and receive are fully synced between your Smartphone and your computer, and you can see all those messages (and other things) on both devices. How Can You Download WhatsApp Web? On your computer’s browser, navigate to the download page for download and install the file. When the install is complete, launch WhatsApp on your computer and scan the QR code to log in. On your computer’s browser, navigate to the download page to download and install the file. When the installation is finished, launch WhatsApp on your computer and scan the QR code to log in. On Android: Go to Chats screen > Menu > WhatsApp Web. When indicated with a QR code, scan the QR Code on your computer screen from your phone. After scanning the QR code, WhatsApp Web will start so you can start chatting on. If you don’t want to download the WhatsApp software, you can still access it on the web browser. Again, when indicated with a QR code, scan the QR Code on your computer screen from your phone. After scanning the QR code, WhatsApp Web will start so you can start chatting on. You can type faster using your desktop keyboard as compared to the mobile phone touch screen. In order to use WhatsApp Web, you have to keep your mobile phone connected to the Internet all the time while you use the web client. If we are talking about hacking, YES WhatsApp Web is every bit as safe the WhatsApp that you use on your phone – encryption works on it too. 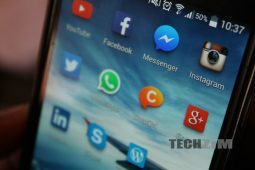 WhatsApp is more or less like Facebook as it allows you to log out after you finish to use WhatsApp on a certain computer to avoid a scenario where someone might remotely see your chats. To avoid this, just head to WhatsApp Web’s Menu (three dots on top of the Home-chat screen) and click Log out. The post Google Announces Scholarship Program As Part Of Initiative To Train 100 000 African Developers appeared first on Techzim. 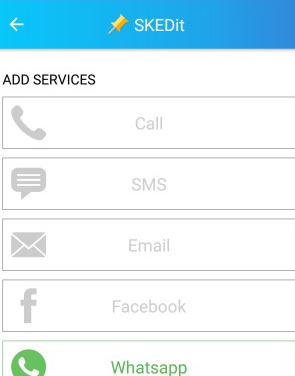 The post 5 Android Apps To Block Annoying Calls (And SMSs) appeared first on Techzim. The post How To Block Game Of Throne Spoilers (And Other Shows) appeared first on Techzim. Game of Thrones Season 6 8 is here and if you’re not up for waking up at 4am to watch it because you have a life. You have work, school or whatever other responsibilities that life throws your way. The risk, however, of not waking up and watching when the show is being aired is that the moment you go on Facebook, WhatsApp, Twitter and any other social media site the show is going to be spoiled. Everything that happened in that episode/movie will come to your knowledge and you’re left with not much to look forward to. You may be wondering how you can avoid these spoilers and watch the show when you want? Well, there are a number of tools you can use. You can use Game Of Spoils – a Google Chrome extension that filters out game of thrones related content based on a list of keywords. Posts containing GoT spoilers will be blacked out for your own good. If the problems you’re facing are specific to Twitter you can always mute some keywords of your choice by going to Settings > Privacy and Safety > Muted words and adding the list of words you want to avoid. The downside to this is that its cumbersome as you’ll have to add many words related to the show and if you forget to add something, it will definitely creep up on your timeline. On Facebook you can also use a tool called Social Fixer to mute keywords like you would natively on Twitter. I don’t really use Facebook that much and on the rare occassions I use it I rarely see my friends talking about GoT so you might be safe without adjusting anything. The post Pay Your DStv Subscription In RTGS Dollars appeared first on Techzim. Having to go in the street or to bureau de changes and banks to buy US Dollars for paying your DStv subscription to Multichoice Zimbabwe can be somewhat a hassle for some folks. Good News! Techzim is here to spare you that hassle. You can now pay for your DSTV subscription in RTGS Dollars right here on Techzim. How do you pay for your subscription on RTGS Dollars on Techzim? Make a payment of your prefered subscription bouquet to our Techzim Account using ZIPIT. After making your ZIPIT payment, take a screenshot of the payment and upload the screenshot. We will then credit your account. As we mentioned before, we will then notify you on WhatsApp that your subscription has been activated. How long does it take till your account is activated? When you make a payment after 15:30 your account will be activated by 10:00 the next day. N:B The above turnaround times are for payments made during the week- Monday to Friday. At the moment, we are using a USD to RTGS rate of 5.0. We charge a transaction fee of RTGS$6 only. Check out the table below to see how we calculate you entirely pay for each subscription bouquet you chose. The post ZSE Redesigned And Made Their Website Great Again appeared first on Techzim. 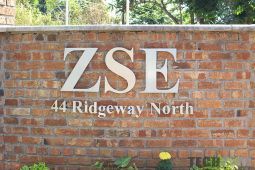 The first time we wrote about the ZSE website back in 2013, we couldn’t help but admire how USEFUL the site was. Unfortunately, things took a turn for worse; the website was taken down and what came back in 2016 was a shell of its former self. It ceased to be useful and though it took the ZSE some time to realise this, they seem to have come to that realisation now. ZSE redesigned their website once again and they have gone back to basics this time around. Gone are the irrelevant tabs like “corporate announcements”, “My ZSE”, “FAQs” welcoming. Instead you have an accessible dashboard with the latest shifts on the markets front and centre. This means as soon as you land on the site you already have Top gainers, top losers and an index table staring right at you. Scroll down a bit more and the useful information keeps being thrown in your face with important stats like market cap, turnover, foreign buys and sales along with trades. All of this is front and centre which means you don’t have to fiddle around looking for stuff. This is pretty neat but when it comes to annual reports some companies don’t upload them online and therefore the ZSE website won’t have those. For access to historical data or libraries on companies, you’ll have to get those directly from ZSE and that will probably come at a charge. Users will also be able to scroll between companies seamlessly with the previous and next buttons that have been placed on company pages. The stockbrokers list works pretty similarly and users will be able to see a list of brokers along with their contact details and links to their websites. For users who want market data and reports, there’s also a subscription option that you sign up for if you head to the market data tab in the header. The new ZSE website is pretty fantastic and that’s great because one of the factors that decide whether investors (both foreign and local) actually invest in companies in our country is access to information that makes it easier for them to invest. The new ZSE website makes it easier to access information and therefore eases the burdens investors had before.Now, whether the impact of this change will be felt or not is yet to be seen but kudos to ZSE for revising their site.